The Jen-Ken Mega Coil Kiln Line for pottery and ceramics can do it all! 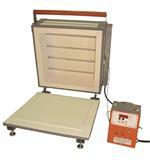 Perfect for a busy production studio or artist, these Mega Coil Kilns are the easiest to operate and maintain. We have taken our traditional 3" Brick Kiln and added one super heavy gauge Mega coil to each full brick. The bigger the coil diameter and the more element material there is to heat the kiln then the longer the coils last. This 22" deep kiln has 4 oversized super heavy gauge Mega Coils that lead outside the kiln to color-coded wiring that go to a power block then to the power cord. The kiln plugs directly into the Orton AutoFire Digital 12 button remote controller. 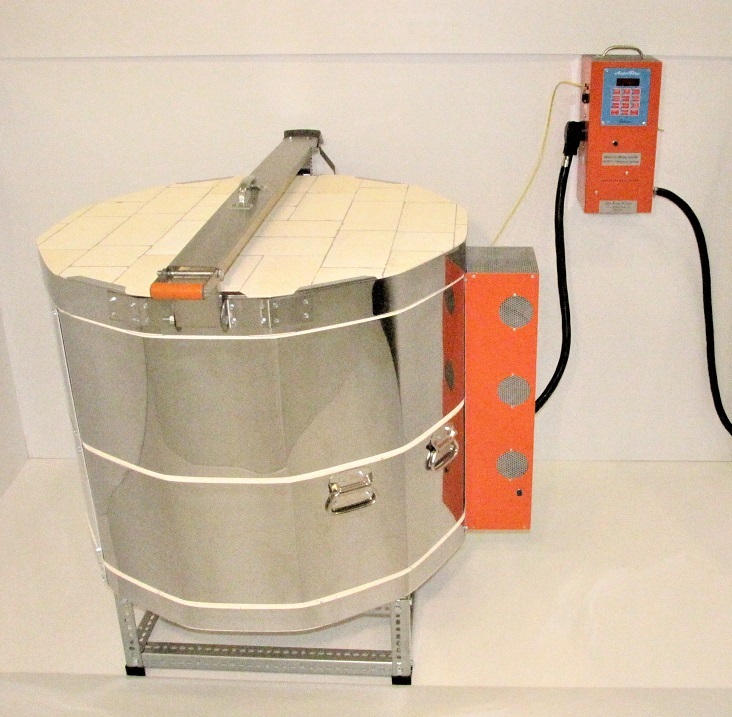 The stand-alone controller comes in a wall-mount enclosure which is designed to hang near the kiln and away from the kilns heat that could shorten the lifespan of its internal components. The controller has full cone firing settings with a choice of slow, medium, and fast firings, along with 9 user programs for custom firing schedules, and contains a 60-amp mercury relay for the longest life. 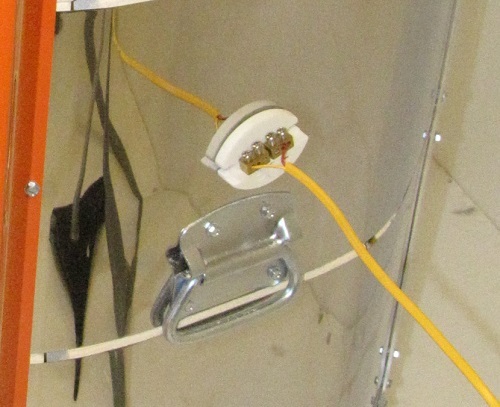 (THIS KILN CANNOT BE SHIPPED TO CALIFORNIA BECAUSE OF MERCURY RELAY) An 8-gauge thermocoupler is inserted into the kiln to register the temperature during firing. A traditional 3” brick kiln that is 22” deep with easy to change oversized heavy gauge Mega coils. 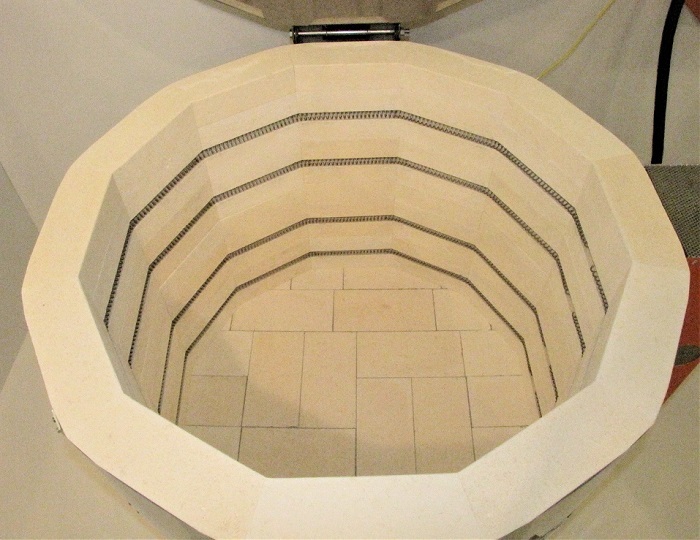 Our Mega Coils extend the firing life of this kiln by 10 to 15 years longer than other similarly sized kilns on the market. Internal wiring with 8 color-coded element tails. These wire connections easily uncouple for stress-free change out when needed. An Orton controller that has cone fire schedules, as well as being user programmable with a mercury relay. Accurate temperature display throughout the entire firing so that you always know where the kiln is in the firing schedule. 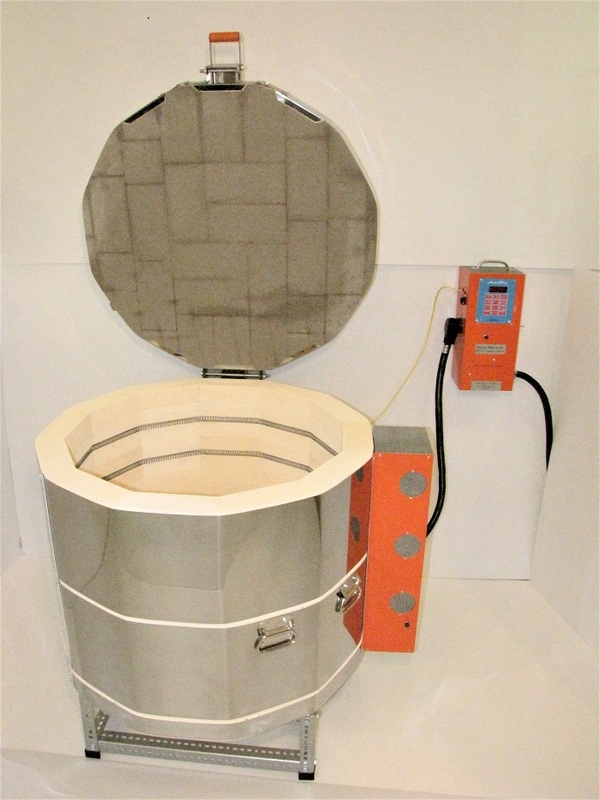 Heat-work adjustments that are automatically calculated and final firing temperatures that are automatically determined by the controller based on the actual kiln performance. 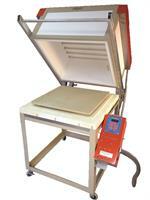 This ensures the kiln firing will produce perfect results even as the kiln ages. Should you need to, it can even calculate the cost of every firing you do. 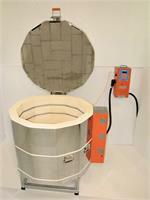 This kiln does it all and fires to Cone 8! Interior Dimension: 18" x 22"